I’m located in Central CA and the common sprinkler setup in my area does not include a main backflow preventer. Instead, each sprinkler valve is anti-siphon. (See attached picture). Does anyone have experience with using a wireless flow meter in this situation or am I out of luck? 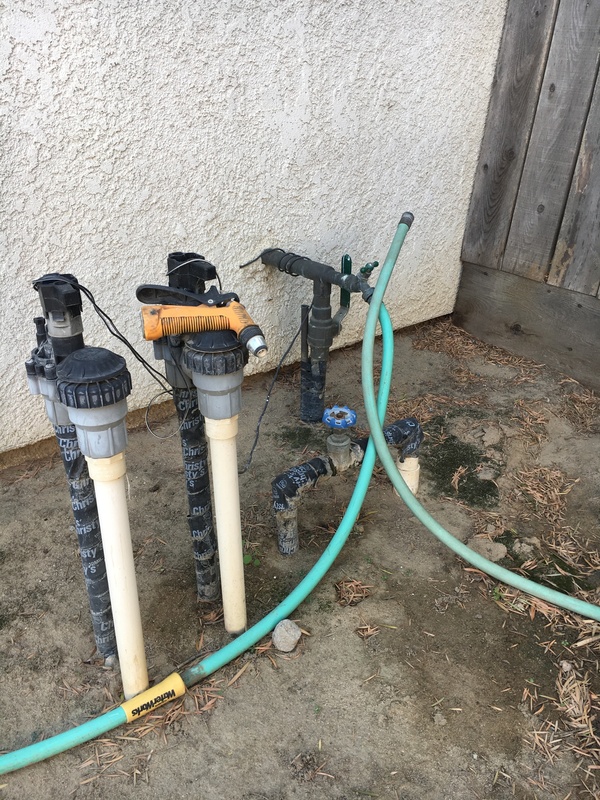 I know the flow meter isn’t rated for potable water, but would it be crazy to install the flow meter upline from my sprinkler valves? Instead, how about installing a valve box near the meter and put a flow meter on the mainline of the irrigation system before it reaches these anti-siphon Valves. These anti siphon valves provide inadequate protection against backflow of contaminants into your home’s drinking water. I bet your city code requires either a pressure vacuum breaker or reduced pressure principle device. These devices meet the International Plumbing Code.